So, you are looking into the financial challenges of divorce. Obviously, divorce is a very hard emotional decision to make. We help you rise above the emotional financial stress. Your best starting place is to review your money habits for your future financial independence. Complete and accurate facts are very important. The court and your advisers use the financial data for a long list of things. And, keep financial self-defense in mind too. Review these to lay a foundation for our divorce planning discussions. When you make complex money decisions, everyone needs expert business and personal financial help. The more financially complicated you are, the more help you need before, during, and after the marriage. Working with your attorney so you have the facts you need is part of our divorce preparation process. Facts are vital to finding your fair share of hidden money. You and I both know your case is unique. Our divorce planning digs deeper for your facts, so you can make better money decisions. Let's get started today. Divorce deals with three major issues: Child custody; Spousal and child support; and Property Division. Your attorney should take the lead as your advocate, and help you with all three. Understand exactly how the attorney you choose intends to help you. Have your prospective attorney walk you through their case and document management process and procedures including how they will keep you informed. If they have poor or weak procedures (action steps in proper order for success), move on to the next prospective lawyer. Be sure you and the attorney agree on the expectations and responsibilities. Particularly that your fees accomplish your goals at process milestones, not just their time spent. The attorney should not be bashful about explaining realities to you; and you should understand their reasoning. You can reach some goals and others are just not possible. You want to pay for reached goals, not the attorney's time trying. If early goals are not reached, it's time to evaluate changing attorneys. Think pay for performance. You must also be your own advocate. Do your own homework. Learn the divorce process for your special situation. No one cares about you as much as you do. Check out Ohio Divorce Basics, 50 FAQ. The list does not cover everything. For example, the Court may issue a Temporary Restraining Order, TRO. Be sure you learn when to seek a TRO, how to comply, and force your spouse's compliance when necessary. Along with this, it’s a good idea to discuss with your attorney the pro’s and con’s of filing for divorce first. The timing of your filing for divorce also influences when other actions should be taken. Example: Domestic violence may drive filing for a protection order or a TRO or a Civil Protection Order CPO, and a court order for exclusive occupancy of your residence. Ohio Department of Job and Family Services that includes Children’s Protective Services also may be resources to check. We at www.CertifiedBusinessAppraisal.com work with the financial analysis for Property Division and personal and business financial challenges. Our financial work deals with Equitable Distribution in a Divorce, the money issues, for our client. You and your attorney work with us on what you want to know and what the law says on a financial issue. There are no simple money issues in a divorce. We will offer you useful information and suggestions for the technical side of money questions. How you use the information is your choice and responsibility. A divorce requires a good plan from the beginning. You need to understand your attorney’s plan for your case. You especially need to understand the process for gathering documents (called discovery) and the Court's process to deal with delays. Go over your testimony with your attorney. Early in 2018, I finished a divorce project that took over a year with documents in the thousands of pages. Even the simplest divorce has hundreds of pages of financial documents. A divorce generates so much paper that a Cincinnati paper shredding company gives me a discount. This is why we start with organizing your business facts to set your 'fair deal' value. We have several options for personal financial information organizers too. Which is better depends on your personal situation, call we can talk about. Documents and Data Are Critical to Reaching Your Divorce Goals. Keep Your Divorce Records Forever. Protecting our personal information is a big concern that makes planning critically important. Breaching your data is costly mistake that covers 5-7 active areas. We can help build your security strategy. Your first step is to work on the suggestions here. However, when you want more help, you can set a complimentary 20-minute phone meeting to talk about personal records. e-Mail us for the free details. The Divorce Records Check, DRCSM will give you useful financial planning data and document lists to guide better preparation. In addition, the Divorce Records Check, DRCSM will help save your time and your attorney’s time answering financial questions. All attorneys are welcome to call with any questions without a fee. 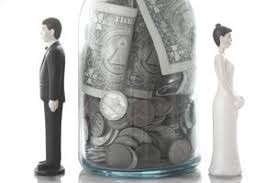 Divorce Financial Issues are Personal and Business. Divorce Business Valuations For Litigation May Require Formal Certification. The issue complexities show in our firm’s organization chart. With deliberate divorce planning and preparation, you can make better money decisions. In addition, while you cannot catch them all, with planning you can avoid problems and bad surprises before and after your divorce. Our divorce planning process deals with 7 money problem areas. We discuss why over 25 tactics can make a financial difference for you. And, stacked on top of that, we screen clients for nearly 100 divorce mistakes. Then we repeat the screening at 5 more critical points in the divorce process. Click to see 10 of 100 Divorce Money Mistakes. Overkill, hardly. You have a lot of money at risk. We take all of our work seriously. I have helped hundreds of divorcing clients since starting my firm in 1988. A good first step is talking with me, David A. Dinsmore, about your personal and business financial planning. See the discussion starters Starting the Divorce Business Valuation Process, 10 Initial Data and Document Requests and Ten Rules for a Top Notch Business Valuation. I have concentrated on coordinating these two complex financial worlds to build client wealth and limit client risks. The firm’s extensive library of planning articles and worksheets, strategies, and tactics give clients a wealth of useful information. I have seen a multitude of disasters from ugly deals and costly choices caused by the lack of preparation. What should be obvious examples of do's and don'ts. At first, the preparation may look challenging. My years of experience and organized approach make the process much simpler and faster. Good preparation drives smarter choices. Get your personal and financial life in order. If you are considering divorce or are in the process, I encourage you to e-mail us today for a free consultation. Let’s talk. You are welcome to ask anything. Get to know more about the money problems you could face.